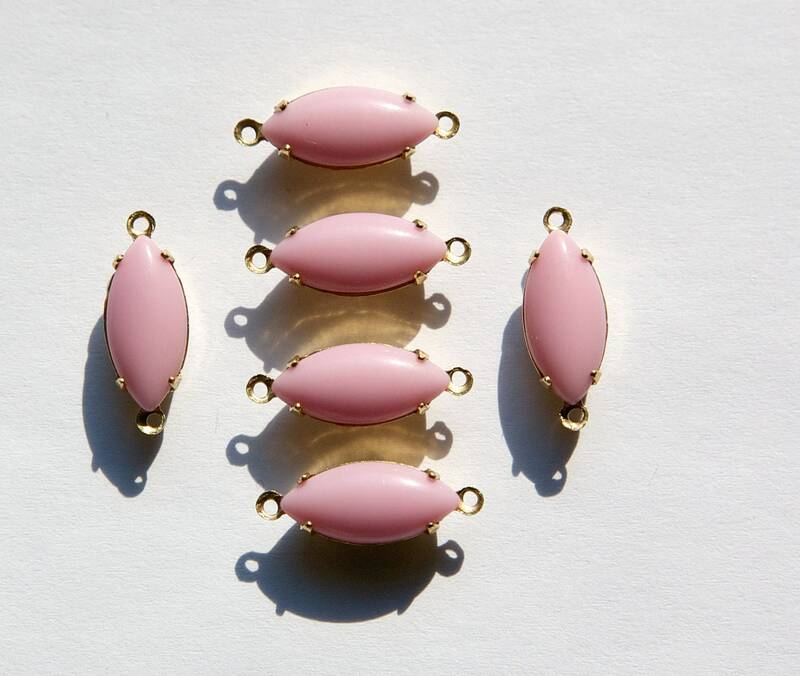 These are vintage pink glass stones. These are set a in two loop open back brass setting. The stones measure 15x7mm. You will receive 6 pieces. as i have said before all is perfect!!!!!! !